Stuff on graphics, how other engines handle tiles/sprites etc. Open source, inspect their assets and observe how the use graphics: http://freedroid.sourceforge.net/. 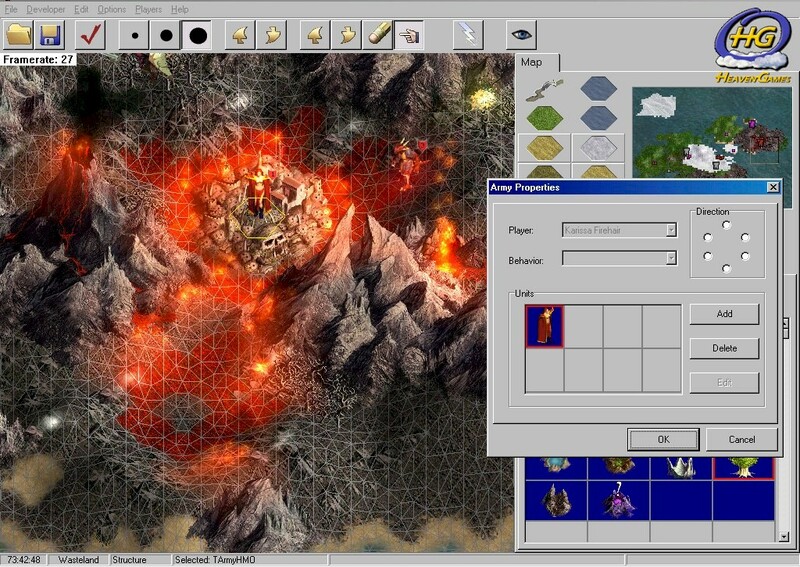 Heroes of Might and Magic 3 engine rewrite http://vcmi.antypika.aplus.pl/forum/portal.php I bet these guys could share some insights on how they did stuff - on how HOMM3 handles its art assets. walls and ground are made from different layers. First you have the basic layer with ground and then another to place additional details, like rocks and flowers and similar. The approach is the same with walls. First you have basic walls, which are then enhanced with a new layer of details, like windows or torches or whatever you decide to put there. This makes for a very modular system with many possibilities to combine basic elements with details. Hard to say about the environment. It looks very much like pre-rendered backgrounds, but could as well be made from ground + object sprites. Many of the objects repeat themselves and the ground also looks like it's blending different terrain types together. Some dungeon levels look like the walls are made from standard modules. The game also has many big, complete sprites to represent various things that couldn't be put together using module based approach, such things are buildings, ships and similar. 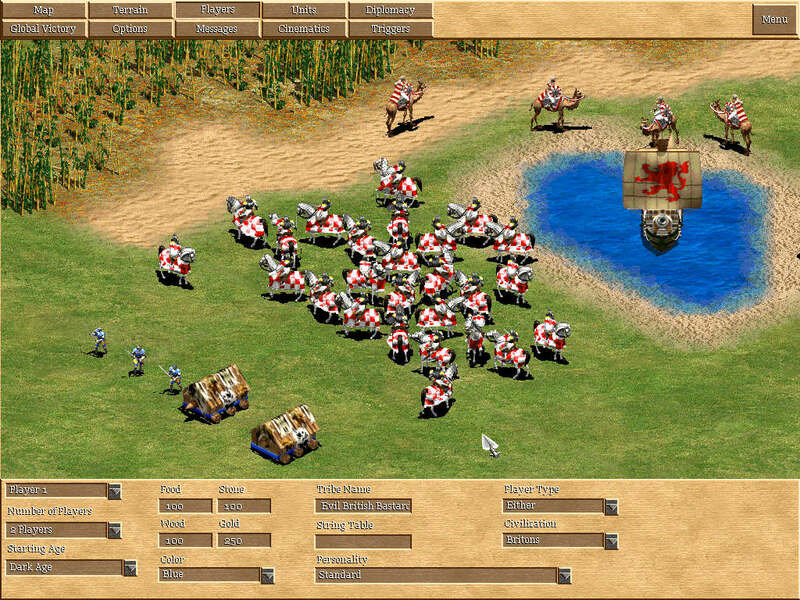 In any case, the game features loads of graphical diversity. The kind people of Widelands have provided documentation of such approach. Since Widelands is open source, the code could perhaps be used in FIFE, if we decide we really want to have cool terrain. http://www.actiontrip.com/reviews/pics/commandos2menofcourage2.jpg a nice example of ice to water transition. 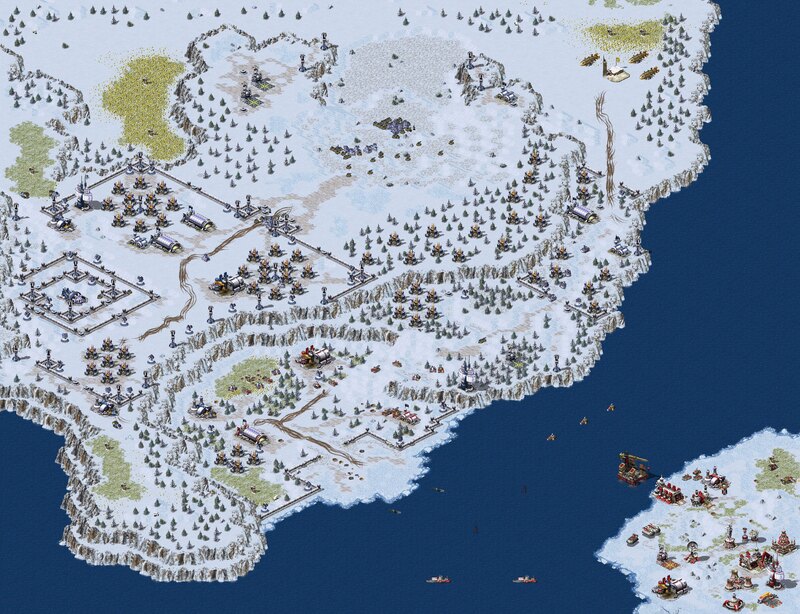 http://www.ausgamers.com/gameres/1212/images/source/Commandos2_1.jpg see how the shadow of the character at the top goes weirdly over the ice cliff. Also notice the texture of the snow, it's not a simple white colour, but has bumps and details and it has hints of light blue colour. http://img363.imageshack.us/img363/1926/knifemk4.jpg see footprints in the snow. This probably played a gameplay role, if the enemy soldiers spotted your footprints and knew something was wrong. 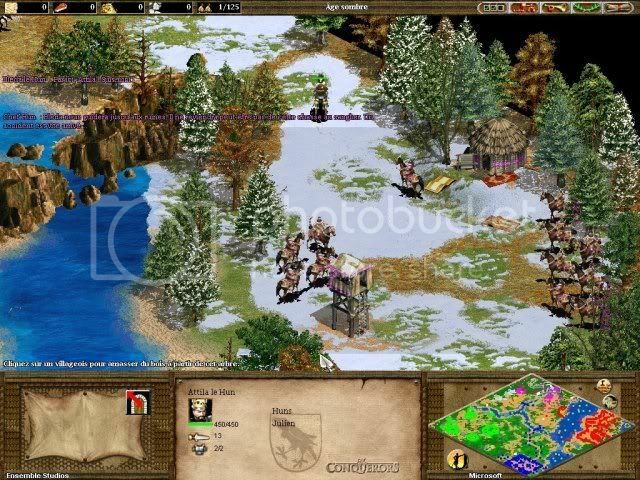 http://www.activewin.com/reviews/software/games/a/conquerors/images/Shot1.jpg snow, but not a very good example. Too bright, too white, no blue tint. There are footprints in the snow though. http://www.gamershell.com/static/screenshots/2728/42592_full.jpg another ice to water transition. Also notice two types of water, one brighter and one darker - makes for a cool contrast and breaks monotony. 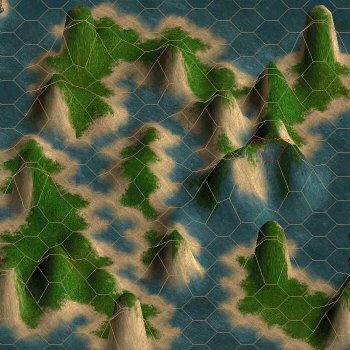 http://static4.filefront.com/images/jemcjfirsl.jpg nice mountains, impassable, not part of the terrain tiles, but a separate object. http://i285.photobucket.com/albums/ll77/WaReZRoCkeR/2n0soer.jpg two types of snow, one full snow and one partial snow with ground shown in between. http://www.activewin.com/reviews/software/games/a/images/aoe2_5.jpg at the left side, just below the bamboo forest, three different ground types meet. This is some sort of cool texture splatting. http://www.gamershell.com/static/screenshots/2945/47538_full.jpg it uses the same method as fallout did for displaying stuff behind tall walls/structures. It doesn't display it fully, the tall wall/building in front of it is still partially visible. http://i24.tinypic.com/fyix46.jpg this tower is very high, behind it you can see very distant land. The distant land is a background image and the characters can't go there, but it creates a nice sense of scale. http://stopgame.ru/files/wallpapers/2493/robin_hood_the_legend_of_sherwood-3.jpg another example of distant background. See the top left corner. This page has been accessed 81,755 times.